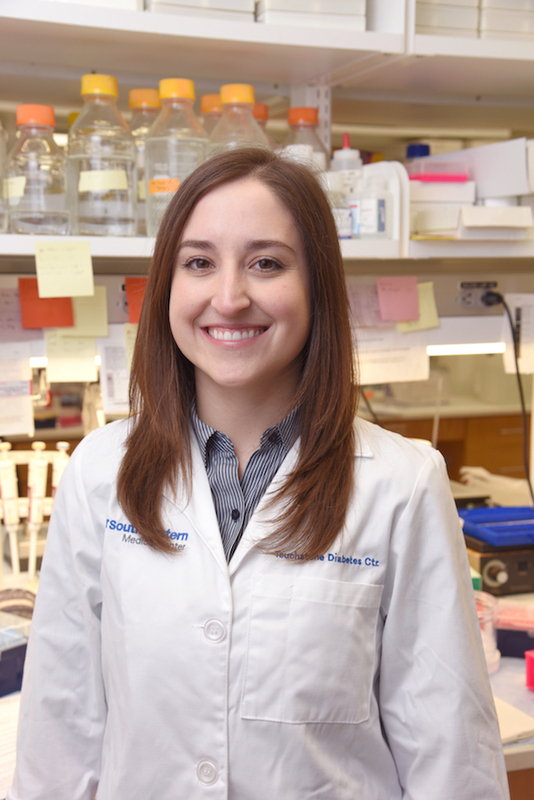 Fourth-year graduate student Chelsea Hepler has capped a momentous spring by winning the 2018 Nominata Award, the most prestigious honor for research by a student in the UT Southwestern Graduate School of Biomedical Sciences. The Nominata Award was created by the Graduate Student Organization in 1980 to recognize academic excellence and research achievement among advanced graduate students. The award includes a $2,000 prize, a gift certificate, and the honor of presenting in the University Lecture Series, which Ms. Hepler did in mid-May.